If Tokyo symbolises Japan’s modern future, Kyoto is its antithesis and allows you to step back in time and glimpse the Japan of old. 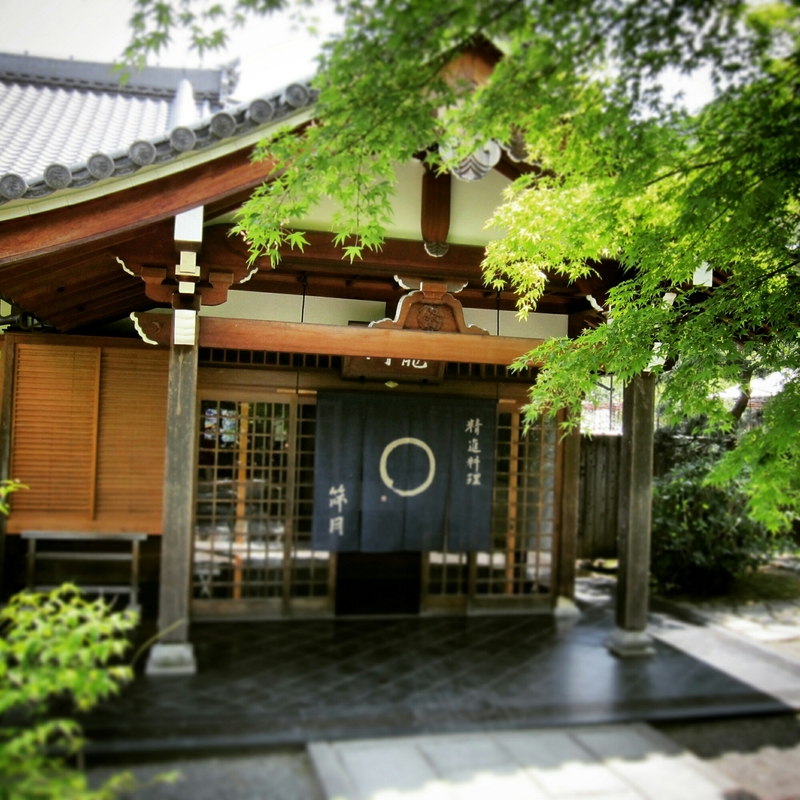 From the weathered small dark wooden buildings, to the traditions of classical Japanese hospitality in the ryokans (guest houses) Kyoto is the place to visit to understand Japan’s past. 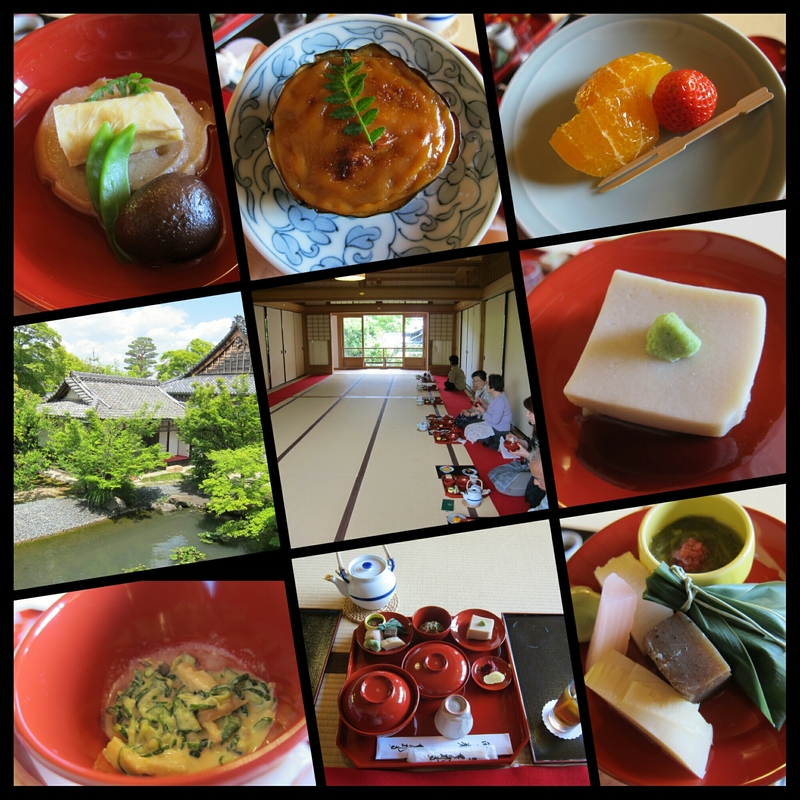 And to fully understand Kyoto you’ll need to sample the incredible food which itself has plenty of history. Here are my top 7 Kyoto eats. Number one on the list has to be one of the unique specialties of Kyoto, the delicious triangular mochi called yatsuhashi. I recently read a brilliant blog with the history behind them, definitely worth a read. I developed an unnatural obsession for mochi whilst in Japan. I mean how can you not, they’re so delightfully sweet, filling and pillowy. (They’re literally like eating a cloud). The problem with the ubiquitous round, red bean filled ones though is that after two you’re full. 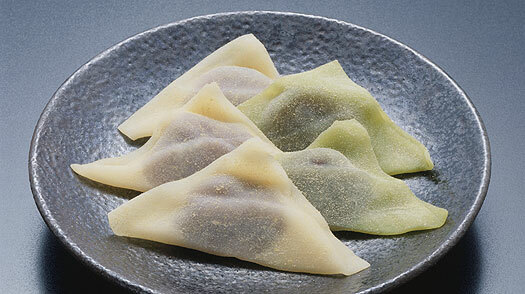 With flat triangular yatsuhashi, on the other hand, they’re not as filling and you’re free to try each of the delicious flavours. Go to one of the shops where they have tasters (like the ones on the road leading into Kiyomizu-dera temple) and give them all a go. Black sesame was particularly good. 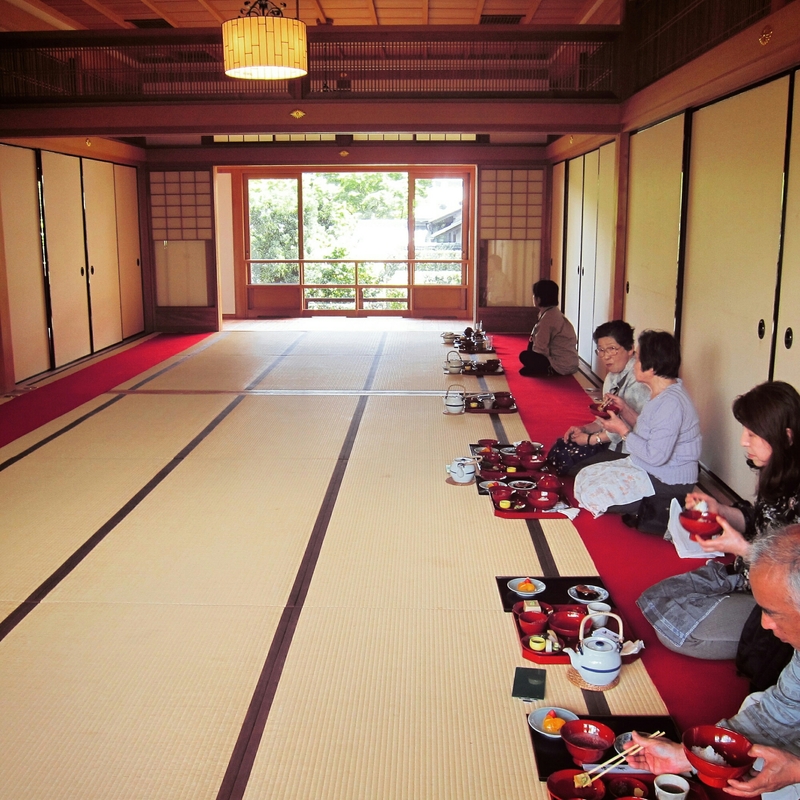 If you visit Kyoto and want to try something authentic, it gets no better than Shigetsu. Set in quite simply the most beautiful surroundings of any restaurant I’ve ever seen (a zen garden) it’s a recreation of the simple Buddhist monk lifestyle. At first it’s quite jarring being led into a restaurant where there are no tables and chairs, in fact there’s no furniture, just lovely tatami mats and groups of people quietly enjoying the delicious food and ambience. But after a short time sat on the floor looking out the large open windows, you start to wonder why all restaurants aren’t like this. The food is vegetarian and it’s all set menu, tofu vegetables, seaweeds, miso, pickles – fresh, delicious, desperately healthy and amazingly filling. I never wanted to leave, you won’t either. Another conveyor belt sushi bar but it’s so much fun it earned a place on the list. Again sushi is made fresh to order and this time you order on an ipad taking all the stress of ordering. They had a wide selection of very fresh sushi including the Kyoto specialty saba-zushi where pickled mackerel is pressed into the rice (it’s the one top left of the image and it’s delicious). 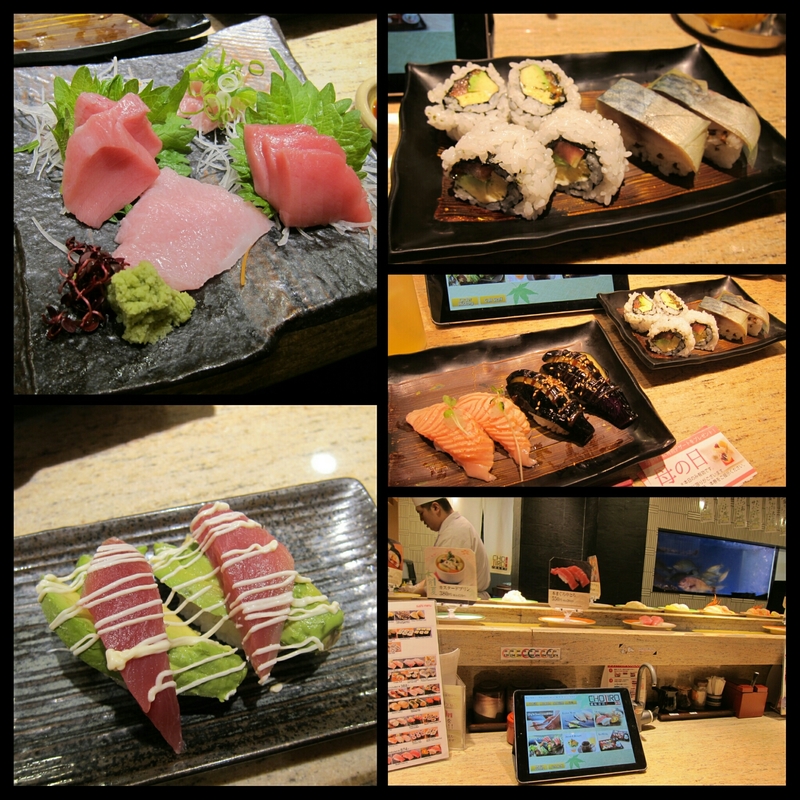 Seared salmon and aubergine nigiri also topped my favourite sushi lists here. Yes that is all one meal and it’s breakfast. 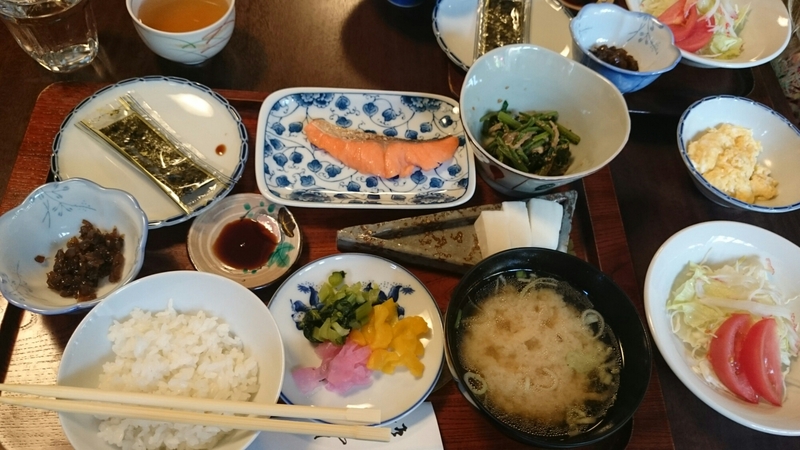 Don’t be put off having fish for breakfast, it isn’t weird, it’s delicious, so is miso soup, rice, pickles, eggs and salad. Yes I was very full afterwards but I was set up for the day and in Kyoto where you do a lot of walking it sets you up for the day like nothing else. 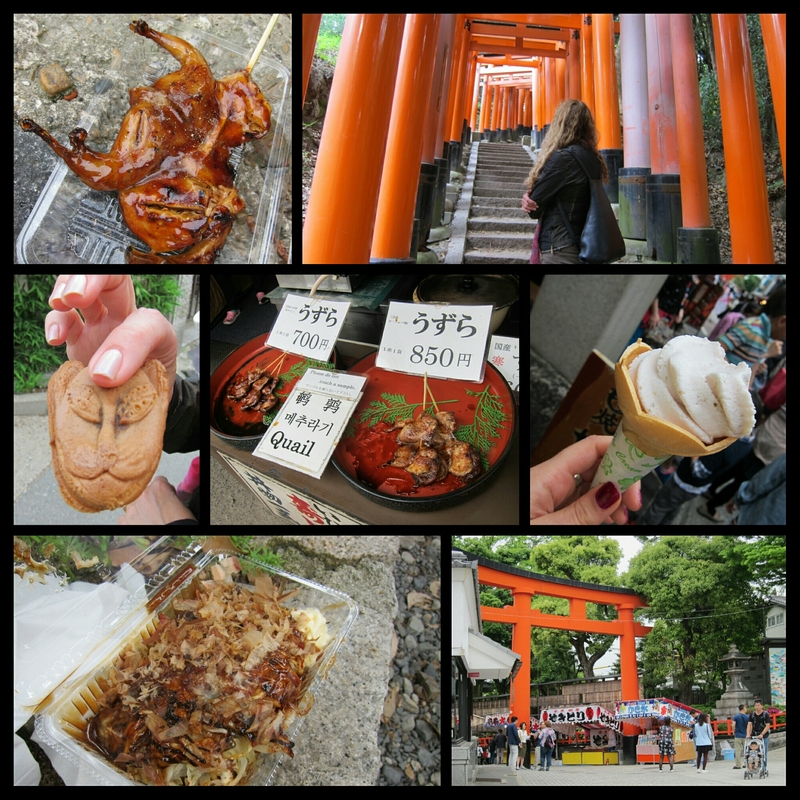 On the street leading up to the famously beautiful red gated Fushimi Inari temple there’s also a culinary treat, a big food market full of treats. I’d urge you to allot a full day for Fushimi Inari and come with empty stomach, the hike around the temple’s red gates can take hours if you decide to do the whole thing and there are a lot of steps. After a long hike there’s nothing like a roast quail on a stick. In all seriousness though this was delicious, slathered in miso soy sticky sauce and spatchcocked on a stick I spent a good 20 minutes digging out the meat from it, all of them well spent. We also tried a delicious fresh okonomiyaki here and there were sweet treats too, like sakura (cherry blossom) icecream and biscuits in the shape of the kitsune (fox) god you see everywhere filled with red bean paste. We didn’t get many photos here as we were brutally hungry and stuffed a lot of food down us before we had time to photograph, but I assure you this market was foodie paradise. Fresh fish already cut for sushi adorned a variety of counters, at other stalls mountains of friend fishcakes enticed us and sweets at others. Best place to buy presents. 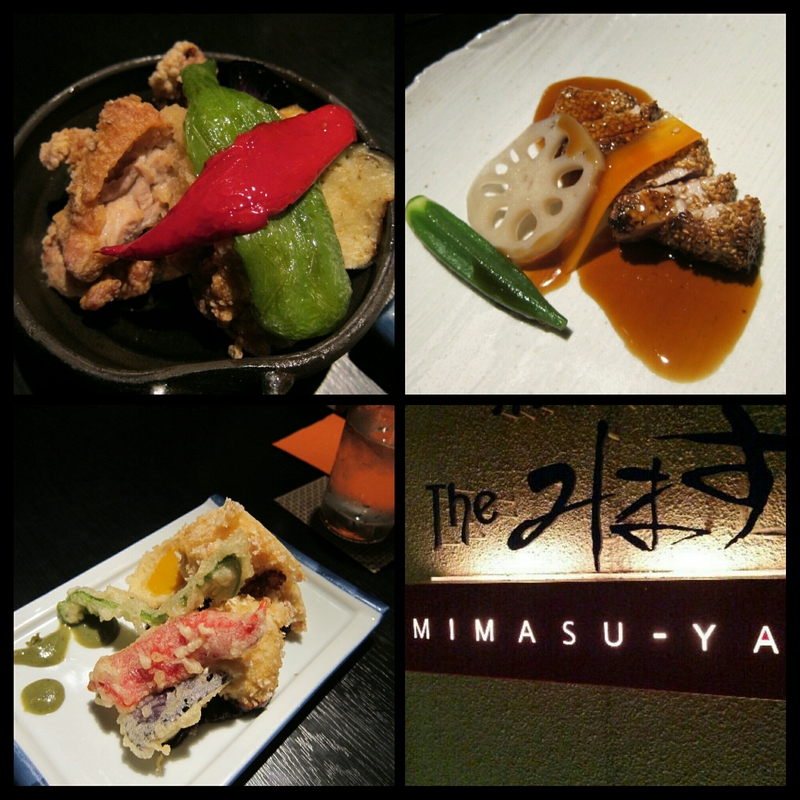 If you must eat in the Gion, I say this because it’s very touristy, expensive and busy and you’re much better off visiting and going elsewhere to eat, Mimasuya is a solid choice. In the summer in Kyoto all the restaurants have yukata (decks over the river) where you can enjoy dinner with a view of the river. The downside is they only serve very expensive set menus on them. We avoided the yukata and instead ate upstairs here. We had only a few dishes but the seared sesame tuna was incredible and there was a great atmosphere. We had only a few short days in Kyoto, hence why this is a relatively short list (there are only so many meals you can fit into 4 days!) 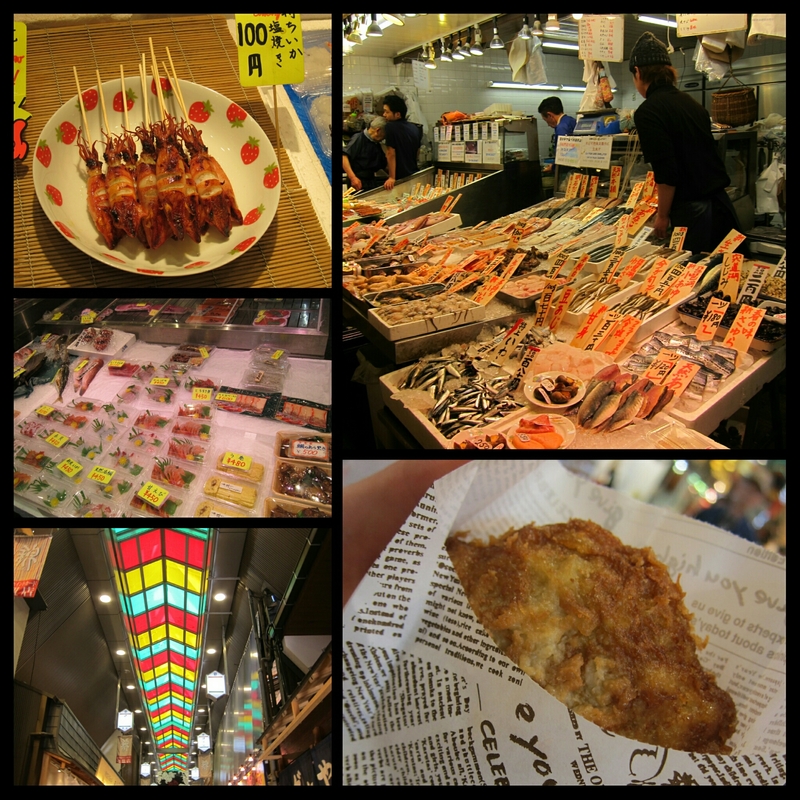 but there is so much to see and eat, it’s foodie heaven.